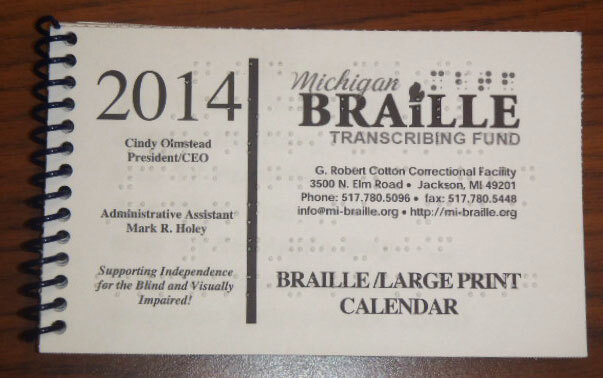 MBTF provides a pocket-size (4”x6” plastic spiral) Braille and Large Print calendar free of charge. If you would like a calendar, please call with your name, address, and number of calendars (up to two). Your information will be entered into the MBTF database (internal use only) and no further action is required, unless you have a name and/or address change. MBTF is offering school libraries one book each year to add to their libraries. January 1st of each year, a list will be published of the books available free of charge. The school will need to contact us with their school name, contact person, address and book of choice. 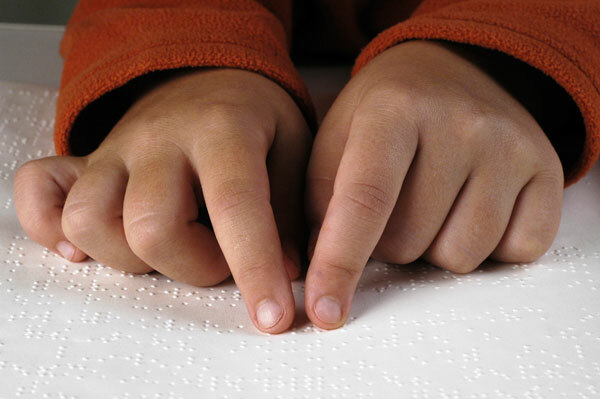 © 2019 Michigan Braille Transcribing Fund, Inc.